Stand out in this hoodie while either during a pre or post work out. The Tully Lou Bronx cropped mesh panel hoodie is perfect for a cooling down after your workout. Stand out in this hoodie while either during a pre or post work out. 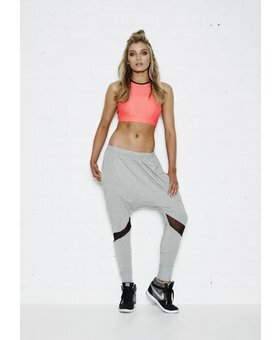 Team with any of our leggings for a chic sports luxe look. Hand or gentle machine wash in cold water. Hang dry.